A UK arms factory was recently occupied by nine British activists in protest against the company's alleged complicity in Israel’s Operation Protective Edge. Against a backdrop of widespread bloodshed and devastation in Gaza, a mounting body of evidence indicates military equipment used by Israel during Operation Protective Edge was made in the UK. As violence wanes in the besieged Palestinian enclave, scrutiny of UK arms exports to Israel is amplifying. 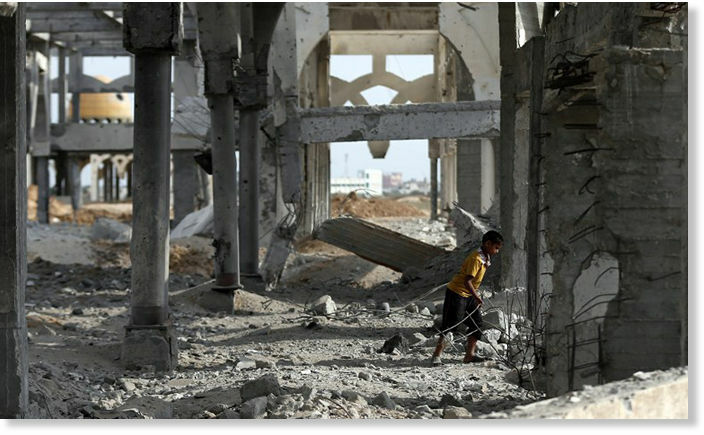 While Cairo peace talks between Israel and Hamas bring a sense of reprieve to Gaza's rubble-laden streets, damning evidence indicates Israel used UK military wares during Operation Protective Edge. UK government statements, photographic evidence, IDF commanders' recent praise of drones deployed in Gaza, and Israel's purchasing patterns of foreign military equipment all appear to indicate this is the case. 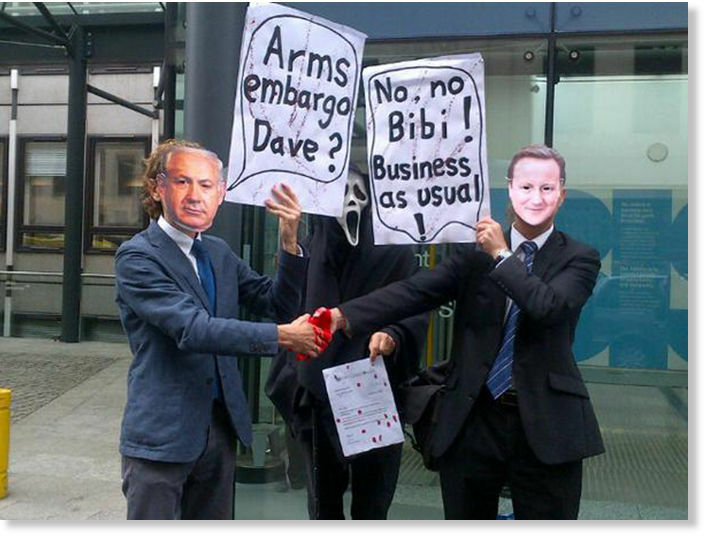 Britain's arms trade relations with Israel are extremely lucrative. Since 2010, British authorities have presided over the sale of £42 million worth of military produce to the Middle Eastern state. And on an annual basis, the British government grants up to £15 million worth of licenses to UK defense firms for the export of military equipment to Israel. These figures stem from in-depth research conducted by the Campaign Against the Arms Trade (CAAT), a London-based NGO dedicated to tackling the global arms industry's impact on human rights. Approximately 44 defense companies spanning Scotland, England, Wales and Northern Ireland broker UK arms exports to Israel, according to the CAAT. Four such firms are Raytheon, Schleifring Systems, Selex Galileo, and UAV Engines. Each of these defense factories epitomize an acutely profitable yet contentious set of military trade relations between Britain and Israel. Amidst nationwide concern over the humanitarian crisis in Gaza, there is strong reason to surmise drone engines, bomb components and other parts produced by these firms were deployed by the IDF during its recent military attacks on the region. Israeli bombs responsible for bloodshed in Gaza are comprised of laser-guidance systems manufactured in Scotland, the Daily Record revealed last week. This laser-guidance technology is produced in a factory in Fife, the parent company of which is a US-headquartered arms manufacturer called Raytheon. Raytheon have reportedly claimed in the past they "take a dumb bomb and make it into a smart bomb." But this "smart" technology harbors the capacity to unleash profound destruction. One of the firm's laser-guided Paveway II bombs was photographed in late July as it descended onto a Gazan neighborhood, reaping devastation upon its impact. Israeli bombs responsible for devastation and bloodshed in Gaza are comprised of laser-guidance systems reportedly manufactured in Scotland. The airstrike was part of Israel's military assault on Gaza, which began on July 8 and has culminated in the death of almost 2,000 Palestinians. Israel, by contrast, has lost 64 soldiers during the conflict, and three civilians. 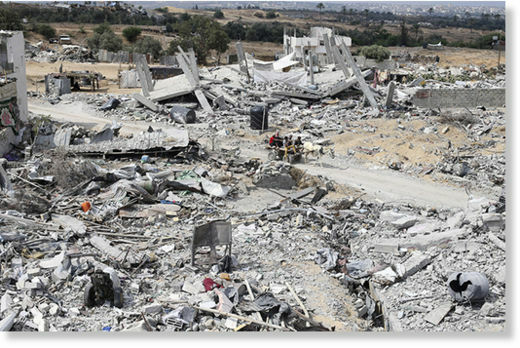 Paveway II bombs have been extensively deployed since Israel's Gaza offensive began, reducing hospitals, homes, schools and even UN-refugees to dust and rubble. Palestinian officials recently reported that over 50,000 of these deadly devices have fallen on the besieged Gaza Strip since July 8. Raytheon's manufacture of the Paveway II bomb is a niche sector, with only one other arms company in the world producing this equipment. The firm is also one of Israel's biggest suppliers of military equipment. Asked whether Scotland-made technology was deployed in bombs recently dropped over Gaza, a spokesperson for the Scottish branch of Raytheon said: "Our Glenrothes facility does component work for a wide range of our government and commercial solutions." The Scottish wing of Italian arms firm, Selex Galieo, has recently been marketing hi-tech Gabbiano technology installed in Israel's Hermes drones. These unmanned aerial vehicles (UAVs) have been regularly deployed to orchestrate attacks on Gaza, and are described by the Israeli Air Force as the foundation of Israel's targeting and surveillance missions. IDF commanders have reportedly praised Hermes UAVs for delivering increased operative value in Israel's recent military missions in Gaza. Selex, a subsidiary of Rome-based arms giant Finmeccanica, maintains it only sells products to foreign states that comply with UK government export regulations. Under these regulations, the UK cannot issue arms export licenses if related military wares are being deployed by states for internal oppression. But the Gabbiano technology Selex produces for Israel's 450 Hermes drones is classed as an Italian arms product, and so is bound by Italy's export legislation. The insidious cross-border structure of arms firms like Finmeccanica illustrate the degree of policy-related rigor needed to address loopholes and other legislative inflections, which often prove beneficial for global defense firms. Selex has profited directly from the Gaza conflict, and will continue to do so if the ceasefire is terminated. A UK branch of German military arms firm, Schleifring Systems Ltd, is also potentially implicated in bloodshed and destruction wrought by Israel's Operation Protective Edge. The firm manufactures slip rings, which transmit power and electrical signals employed in multiple military systems. Based in Berkshire, the UK company's products are used in drones, missile launchers, armored vehicles and more. In terms of arming Israel, Schleifring Systems Ltd also produces components for the controversial Hermes drone. 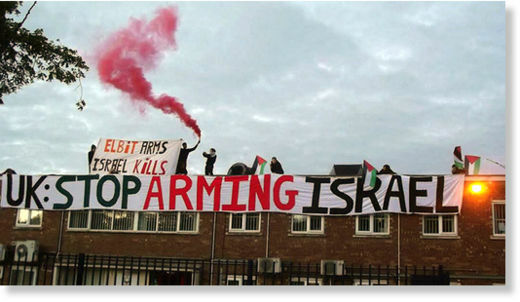 UAV Engines, a UK subsidiary of Israel's most prolific drone producer Elbit Systems Ltd, was recently occupied and shut down for two days by nine British activists. The action was carried out on behalf of UK campaign group, London Palestine Action, in protest against the arms factory's alleged complicity in Israel's recent military attacks on Gaza. Elbit Systems produces electronic military communications technology and unmanned aircraft technology - including the Hermes drone. Its UK subsidiary, UAV Engines, manufactured engines for Hermes UAVs and other military components that were sold to Israel between 2010 and 2012. Andrew Smith, a well-known commentator on Britain's arms trade and official spokesperson for CAAT, emphasizes Israel tends to utilize the same arms producers year in year out. So it's not unreasonable to deduce that UAV Engines, which applied to export their military wares to Israel between 2010 and 2012 would also have sought licenses to do so in 2013 and beyond. Bearing these factors in mind, there is a strong possibility that engines and military components manufactured in Britain by UAV Engines were deployed by IDF drones in Israel's Operation Protective Edge. Based on a confluence of evidence, there's a strong possibility that engines and military components manufactured in Britain by UAV Engines were deployed by IDF drones in Israel’s Operation Protective Edge. Having clambered their way on to UAV Engines' roof on August 5, the London Palestine Action anti-arms activists used a megaphone to publicly declare the IDF's recent atrocities in Gaza to onlookers. Thirty six hours into the occupation, police scaled the building and forced the campaigners to return to ground level where they were subsequently arrested for aggravated trespassing. Following the arrests, London Palestine Action warned the UK government was directly supporting"Israel's massacres"in Gaza by allowing UAV Engines to export "drone components and other arms to Israel". The campaign group argued that Israel's recent military assault on Palestinian civilians, and "indiscriminate" targeting of UN schools would not have been possible without extensive military cooperation with an array of states and companies throughout the world. UAV Engines is the most prolific case of this "vast military cooperation taking place between the UK and Israel," the group emphasized. 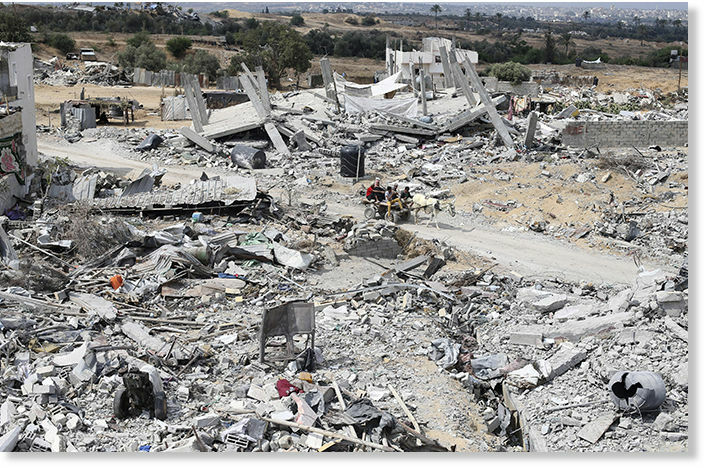 UK weapons have been deployed by Israel in previous Gaza attacks. This fact was accepted by the then-Foreign Secretary, David Miliband, in an official statement in 2009. Yet little has changed since then. The UK has licensed roughly £50 million worth of arms exports to Israel over the past five years. In the wake of the IDF's Operation Protective Edge, high profile politicians from all sides of Britain's political spectrum have publicly pleaded with the UK government to rethink its policy of exporting arms to Israel. Foreign office minister, Baroness Sayeeda Warsi, recently tendered her resignation over the government's "morally indefensible" position on Gaza, while Deputy Prime Minister, Nick Clegg, repeatedly demanded arms exports to Israel be suspended. 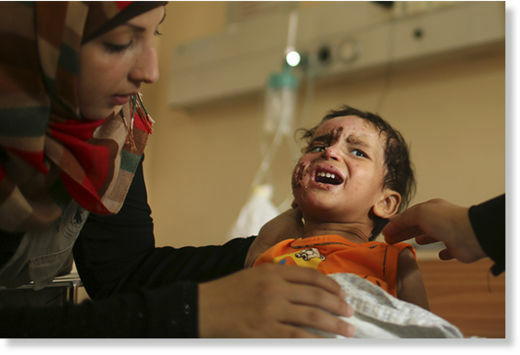 UK NGOs War on Want and Amnesty International UK have also called for Britain to terminate all arms exports to Israel. Israel's recent bombardment of the Gaza Strip included indiscriminate targeting of multiple hospitals, children playing on a beach, ambulances, schools, clinics, mosques, press buildings and countless Palestinian homes. Israel’s indiscriminate bombardment of Gaza included targeting of multiple hospitals, children playing on a beach, ambulances, schools, clinics, mosques, press buildings and countless Palestinian homes. For weeks the UK government reviewed existing export licenses to Israel. Over the duration of this"review," however, over 1,500 Palestinians civilians died as a result of IDF military aggression. On August 12, the UK government finally announced the findings of its probe into UK arms export licenses. Liberal Democrat MP, Vince Cable, admitted twelve UK licenses may have facilitated the export of military arsenal that could have been deployed in Operation Protective Edge. Such export agreements relate to components for "combat aircraft","military radar systems" and "tanks," he said. But the government has made no concrete promise to suspend these licenses. Such a move would only occur if "significant hostilities" resume following the termination of Israel and Hamas' ceasefire, Cable stipulated. Amnesty International UK arms expert, Oliver Sprague, argued on Wednesday that Cable's announcement marked a troubling weakening of Britain's existing regulations "designed to prevent UK arms fueling war crimes and serious human rights abuses." "Rather than give the benefit of the doubt to the victims of indiscriminate bombing, it allows the arms exporters to pretty much continue business as usual," he warned. "The response from the government has been extremely weak," Andrew Smith told RT on Friday. "Short term suspensions do not go far enough. We want to see a total embargo on arms sales to Israel and the revoking of all current licenses." Criticism for complicity in Israel's Operation Protective edge extends beyond government officials and defense firms, however. Financial institutions such as Barclays have also come under fire. 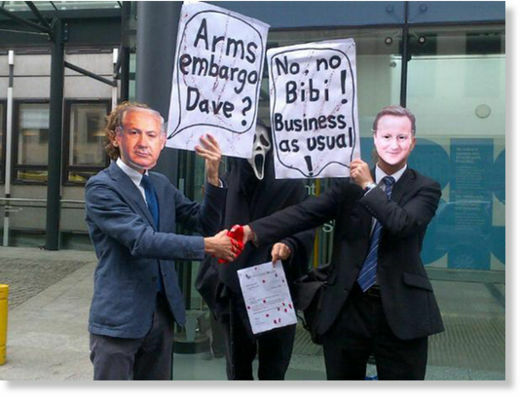 The bank has been denounced by UK anti-arms campaigners for its investment in Elbit Systems, Lockheed Martin and Textron - three prolific global arms companies that manufacture military arsenal allegedly deployed in Israel's Operation Protective Edge. Anti-arms activists demonstrate against the British government's failure to suspend export licences, which legitimized the sale of military components to Israel. In the wake of the Gaza conflict, Human Rights Watch, Amnesty International and several high profile United Nations (UN) officials have denounced both Israel and Hamas for violating international law. In light of this, the UN Human Rights Council have appointed a three-member panel to investigate potential war crimes, which occurred during the conflict. Despite the terrible human cost of the Gaza conflict, Israel's military assault on the Palestinian enclave has bred considerable financial rewards for the global arms trade. One firm to profit directly from the IDF's Gaza offensive is Elbit. According to the Electronic Intifada - a non-profit digital platform, which hosts news and analysis from a Palestinian perspective - Elbit's US share price increased by 6.1 percent three weeks into Israel's Operation Protective Edge. Whether Elbit's UK subsidiary, UAV Engines, has profited as a result of the military operation remains unclear, though there is a strong likelihood it has. Britain's military industrial relations with Israel span decades, and are enshrined by a strategic alliance born of a cultural affiliation, economic ties and self-interest. This special relationship is accentuated by the UK government's annual investment of millions in battle-tested arms from Israeli firms. One collaborative field in this context is drone technology. The UK's Ministry of Defence [MOD] is currently working with Elbit Systems on a lucrative one billion pound Watchkeeper program to develop drones modeled on Hermes unmanned aerial vehicles. 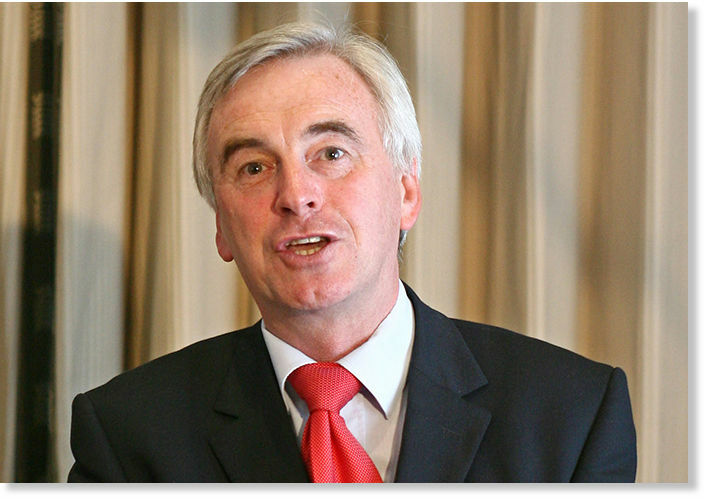 The UK government has, in all likelihood, presided over the export of arms to Israel used to “slaughter innocent civilians on the Gaza Strip”, Labour MP John McDonnell warns. Critics argue that the MOD's collaboration with Elbit in this regard signals complicity in Israeli acts of military aggression. In the height of the IDF's military assault on Gaza, UK MP John McDonnell, wrote a sharply worded letter to Foreign Secretary, Philip Hammond, condemning Britain's close military and economic ties with Israel; a state he emphasized had flouted "more UN resolutions that any other country in the region." "Given the expansive range of military equipment the UK has sold to Israel in recent years our government has in all likelihood supplied the weapons or components," which were used to "slaughter innocent civilians on the Gaza Strip", McDonnell said. Arms companies have long profited from an intimate relationship with the British Government, giving them considerable leverage over UK policy-making, according to CAAT. The arms industry's capacity to wield influence over former civil servants and UK ministers, lobbying companies, the MoD, and Britain's wider trade and investment sector ensures political and financial support from successive British governments remains relatively steadfast, the campaign emphasizes. Following its recent review of UK arms export licenses currently in place, the government stated none would be suspended or revoked unless the current Israel-Hamas ceasefire is broken. This policy stance was maintained despite the fact twelve UK licenses were identified, which legitimize the sale of components that may have been deployed in violation of international law. As a result, 131 arms export licenses worth almost £42m, which legitimize British arms manufacturers' export of military components and military communications technology to Israel currently remain intact. In light of this, UK law firm Leigh Day issued a formal letter to Vince Cable on Friday on behalf of CAAT warning that the UK government's failure to immediately suspend current arms export licenses to Israel is unlawful given the risk these military wares may be deployed in Gaza. The firm warned it has been instructed to seek a judicial review if the government refuses to suspend the export of the components. Following its review of UK arms export licenses currently in place, the government stated none would be suspended or revoked unless the current ceasefire is broken. This policy stance was maintained despite the fact twelve licenses were identified in the government's review, which legitimize the sale of components that may have been deployed in violation of international law. Because the government have failed to clarify precisely what might constitute a "broken" ceasefire, CAAT is concerned that arms made in Britain may continue to be deployed in severe breaches of international human rights and international humanitarian law. The UK government is yet to respond to CAAT's threat of legal action.